The Globally Harmonized System of Classification and Labeling of Chemicals (GHS) is an international consensus system developed by the United Nations for classifying and labeling hazardous chemicals. 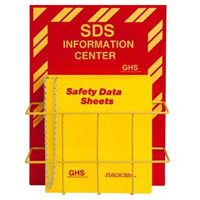 The GHS is designed to streamline the hazard assessment, labeling, and hazard communication requirements within and between the countries that adopt it by promoting common, consistent criteria for classifying chemicals according to their health, physical and environmental hazards, and to develop compatible labeling, safety data sheets (SDS's; formerly known as MSDS's) and other information based on those classifications. GHS resolves many, but not all, differences between (M)SDS's and labels between, for example, the US, Canada, and the European Union. OSHA adopted many (but not all) GHS Revision 3 principles in its most recent update to 29 CFR 1910.1200, the OSHA Hazard Communication Standard. Implementation of HCS 2012 and deprecation of HCS 1994 is being phased in with most of the major changes now in effect; see below for more details. The first regulatory movement towards adapting elements of US OSHA requirements to the GHS began with an Advanced Notice of Proposed Rulemaking (ANPR) on September 12, 2006. A 60 day comment period received over 100 written and electronic comments which generally supported adoption and highlighted the need for harmonization in how chemicals and their hazards are classified in a worldwide marketplace. On September 30, 2009, OSHA published its proposed rulemaking to incorporate changes per the GHS (US Federal Register 74:50279-50549). You can view this document in HTML on OSHA's web site or download it as PDF file from the US Government Printing Office. The Public Comment period ended December 29, 2009 and gathered several hundred written comments that are available here. * If the distributors meet the definition of manufacturers (see section X.C. of OSHA Directive Number CPL 02-02-079), which includes repackaging and relabeling the chemicals, they must comply by June 1, 2015. It is critical to recognize that HCS 2012 is based on Revision 3 of the GHS. The GHS is updated on an ongoing basis. In July of 2015, UNECE published Revision 6 which introduced a significant number of changes that will probably not make their way into US regulations for many years. As stated above, GHS is a model standard and implementation from country to country will vary. For example, OSHA's HCS currently covers acute toxicity with respect to (M)SDSs. The GHS's coverage of acute toxicity is quite broad, covering consumer protection in addition to occupational concerns. As OSHA has no regulatory authority for consumer issues/products, the HCS will never be able to incorporate all the changes to acute toxicity that the GHS suggests. This does not stop other Federal agencies such as the Consumer Product Safety Commission from enacting such legislation under their own purview, however. 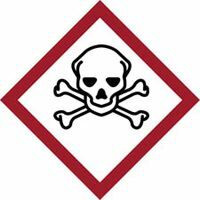 The US Environmmental Protection Agency has a web site on Globally Harmonized System (GHS) for Classification and Labelling of Chemicals with an emphasis on pesticides. In the European Union (EU), Safety Data Sheets (SDS) and labels issued prior to June 1, 2015 were required to use a uniform coding system of risk phrases and safety phrases to communicate risks and precautions. The phrases are accompanied by numbers so the phrases can be easily translated or understood in multiple languages. The GHS takes a similar approach but risk phrases and safety phrases will be replaced. Risk phrases are becoming become Hazard Statements ("H-statements") and safety phrases are becoming Precautionary Statements ("P-statements"). The EU transition required modifications and additions to the existing R- and S-phrases and introduced a new numbering system for the P- and H-statements. Note: regardless of system, phrases must always be written out in words; the numbers are provided as a reference only and should never be used as a substitute for the full phrases. European Union Classification and Labelling (CLP/GHS) considerations - http://ec.europa.eu/growth/sectors/chemicals/classification-labelling/index_en.htm. Canada: WHMIS 2015 - http://www.hc-sc.gc.ca/ewh-semt/occup-travail/whmis-simdut/ghs-sgh/index-eng.php. Taiwan: Latest News of GHS in Taiwan - http://ghs.osha.gov.tw/ENG/intro/news.aspx. Japan: GHS Information - http://www.safe.nite.go.jp/english/ghs/ghs_index.html. A more detailed list can be found under Further Reading below. "Hazard determination" is replaced by rigorous hazard classification under which chemical manufacturers and importers are required to determine the hazards of the chemicals they produce or import. Very specific and new criteria are used to address health and physical hazards as well as the classification of chemical mixtures. Labels now require a signal word, one or more pictograms, hazard statements, and precautionary statements for each hazard class and category. 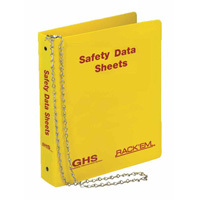 Material Safety Data Sheets (MSDS's) are now referred to more simply as Safety Data Sheets (SDS's). They now have a specific 16 section format that ensures a consistent presentation of important protection information. As you receive new SDS's in your workplace, you simply replace the old MSDS's the way you always have. There is no need to seek out an SDS for a chemical you already have on hand however your workers must be trained on both the older and new labeling and SDS systems, of course. Information and training requirements are in force as of December 1, 2013 and require that all workers have been trained in the new label elements and new safety data sheet formats in addition to their regular training requirements of updating hazard communication as new hazards are identified. A comparison of the 1994 and 2012 HCS is available which strikes out the old language in red, inserts new language in green, and has additional commentary on each section. these sections are "non-mandatory". OSHA requires only that these headings appear on the sheet but not require that any information be entered under sections 12 through 15. Small Entity Compliance Guide for Employers That Use Hazardous Chemicals. Status of GHS Implementation by country. Bibliographic history of GHS revisions. Full text of the GHS Revision 4 (2011) including the Annexes which discuss required classification and labeling. GHS guidance provides links to technical resources to assist in classification and understanding of the model standard. Globally Harmonized System (GHS) for Classification and Labelling of Chemicals at the US EPA. Globally Harmonized System at Sigma-Aldrich, a major chemical supplier, includes some nice timeline and country data. A more detailed timeline of the the history of the HCS and adoption of GHS can be found at MSDSonline.com. See also: ACGIH, ANSI, CFR, Hazard Statements, Precautionary Statements, risk phrases, safety phrases, UN/NA Numbers. Entry last updated: Wednesday, February 7, 2018. This page is copyright 2000-2019 by ILPI. Unauthorized duplication or posting on other web sites is expressly prohibited. Send suggestions, comments, and new entry desires (include the URL if applicable) to us by email.